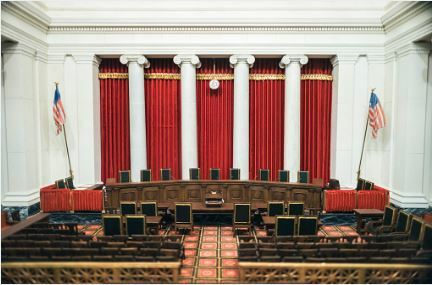 In late February the U.S. Supreme Court again issued an opinion that absent language to the contrary, a collective bargaining agreement that provides retiree health insurance benefits does not create a vested right to those benefits. It also reiterated that the general durational provision of the agreement applies to the employer’s obligation to provide retiree health insurance. In the case of CNH International N.V. v. Reese, out of Michigan, the employer had agreed to a collective-bargaining agreement in 1998 that provided health care benefits under a group benefit plan to certain “[e]mployees who retire under the ... Pension Plan” and “[A]ll other coverages,” such as life insurance, ceased upon retirement. The agreement contained a general durational clause stating that it would terminate in May 2004 but was silent as to whether retiree health insurance benefits vested for life. When the 1998 agreement expired in 2004, a class of CNH retirees and surviving spouses filed this lawsuit, seeking a declaration that their health care benefits vested for life and an injunction preventing CNH from changing them. While their lawsuit was pending, the Court decided M&G Polymers v.Tackett holding that for purposes of determining whether a cba grants rights to lifetime health insurance, the general principles of contract interpretation apply. Nevertheless, the 6th circuit court of appeals ruled in favor of the retirees in the CNH case finding ambiguity in the 1998 agreement by declining to apply the general durational clause to the health care benefits, and then inferring vesting from the presence of specific termination provisions for other benefits and the tying of health care benefits to pensioner status. After more than a decade of appeals, remands, reversals and reconsiderations, the case made it to the U.S. Supreme Court. Before making changes to retiree health insurance benefits, employers should carefully review their policies and contract provisions that describe that benefit to analyze the best way to approach changes. Pay close attention for any language that appears to grant the benefit for the life of the retiree. Similarly, careful attention should be paid when drafting contract provisions on the subject. The only thing potentially more expensive than paying for expensive retiree health insurance is years and years of litigation over the employer’s obligation to pay it.